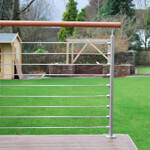 A stunning decking balustrade project by Arbour Design and Build using our stainless steel balustrade wire system. 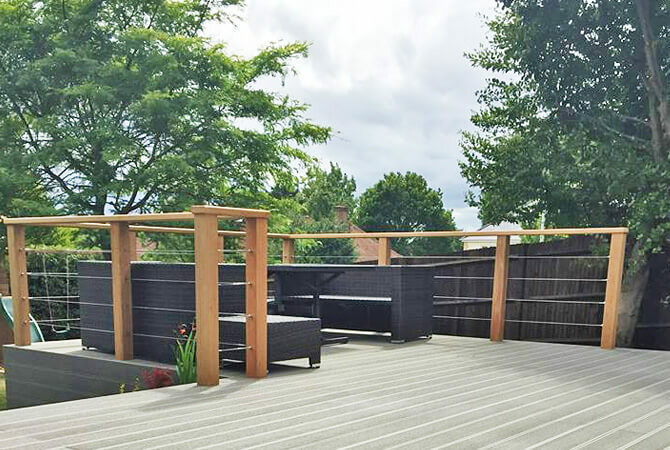 Manufactured from 316 (marine) grade stainless steel the balustrade wire system is the ideal choice for exterior applications. 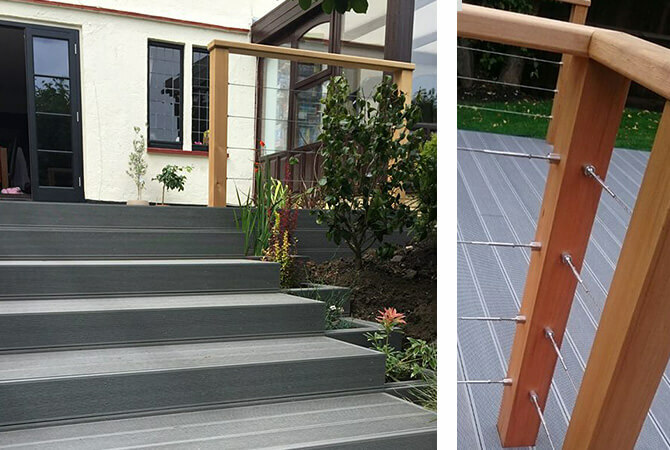 Stainless steel wire is the perfect infill - giving a clean and stylish finish that is less intrusive, allowing for more light. 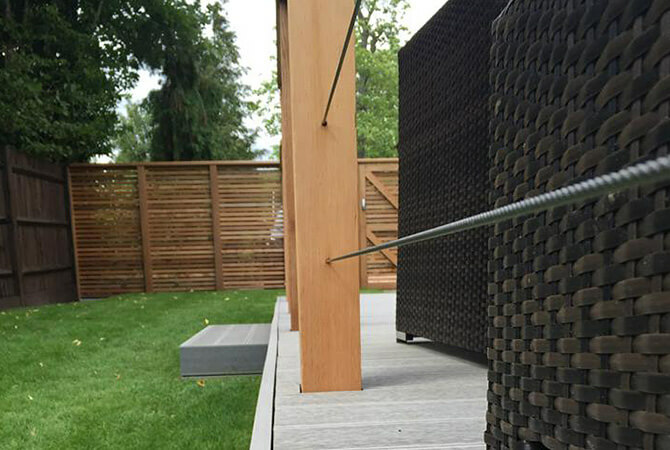 To reduce the number of wire assemblies required, the wire has been passed through the baluster mid posts. 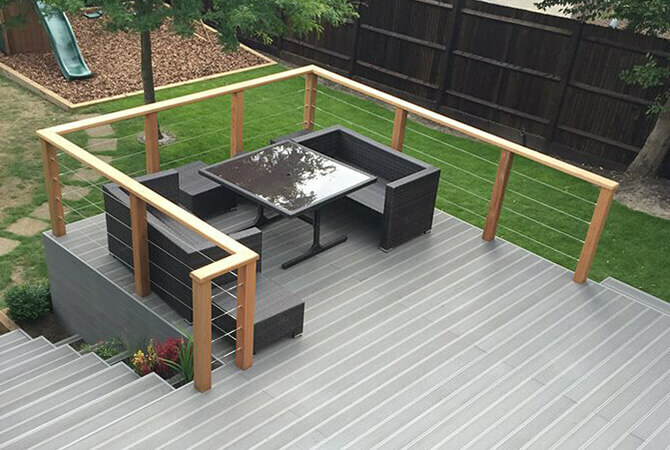 The mounting hubs are quick and easy to install with a few simple household tools.